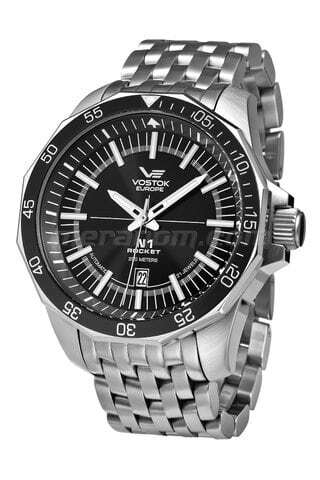 • OS22 quartz movement • Solid stainless steel case, 42 mm. 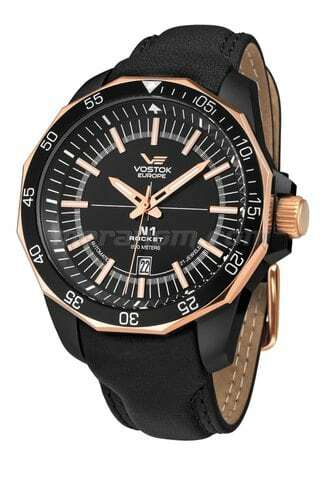 • 10 ATM water resistance. • Special screw crown. 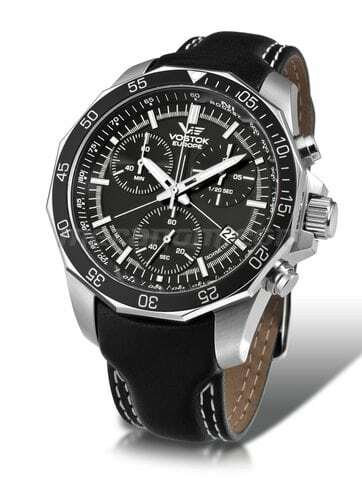 • Tachymeter • chronograph • SuperLuminova indexes on the dial and hands. • Rotating bezel with minute couner. 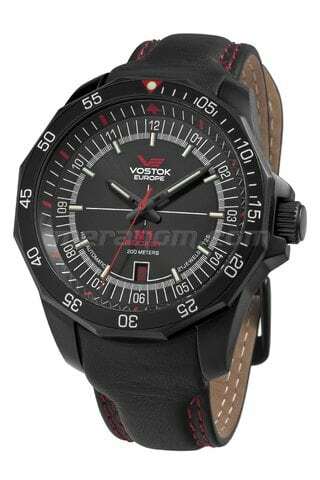 • A-grade black PVD pl..
Vostok-Europe N1 Rocket Russian Watch 8215/2253148 8215 automatic movement constructed on 21 jewels with central second hand and single calendar Stainless steel 46 mm diameter case. Thickness – 17 mm. 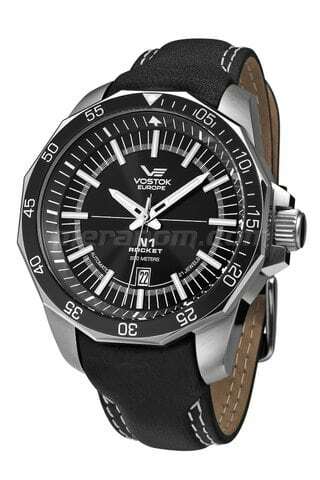 Water resistant - up to 200 meters (20 atm). Enhanced, anti-reflective coated ..
NH25A-2255146B NH25 automatic movement (made by SII Co., Japan) constructed on 21 jewels with central second hand and single calendar Stainless steel 46 mm diameter case. Thickness – 17 mm. 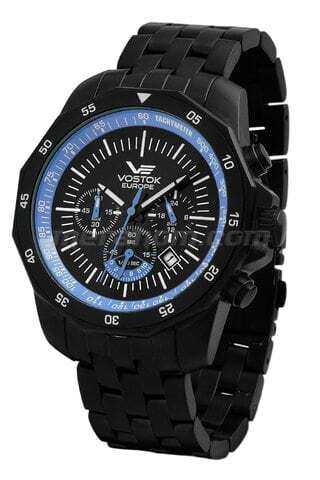 Water resistant - up to 200 meters (20 atm). Enhanced, anti-reflective coated crystal of 4.5..
NH25A-2254150 NH25 automatic movement (made by SII Co., Japan) constructed on 21 jewels with central second hand and single calendar. 13 tritium or "Trigalight" tubes for constant illumination. Never need to be charged in the sun. Always lit at the same illumination i.. 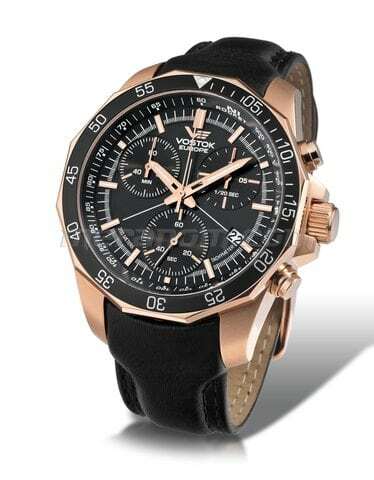 Type Sport Diver Chrono Movement 6S30 Miyota Quartz Chrono. Extra-large subdials for ease of readability and better visuals in all sports situations. The second hand "sweeps" similar to a mechanical m.. 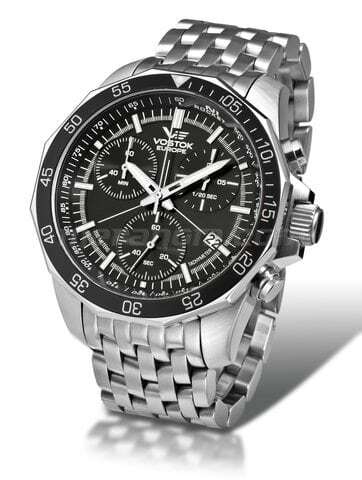 Type Sport Diver Chrono Movement 6S30 Miyota Quartz Chrono. Extra-large subdials for ease of readability and better visuals in all sports situations. The second hand "sweeps" similar to a mechanical movement and is more precise for elap..